Anxiety – If you or anyone you know has ever experienced it, you understand how that nervous uncertainty can affect the way in which one copes under stressful circumstances. Fortunately, there are tools that can help us better understand why we might experience such anxiety and ways to help ease it. This holds true with our canine companions. That’s right, humans aren’t the only ones who suffer from this disorder. While we may better understand the cause and effects of anxiety, our puppy pals may not. Just as with people, it’s good to be able to understand and identify what causes stress and anxiety in our fur babies to better help them cope. While there are various reasons that can cause doggies to suffer from anxiety, separation anxiety is the most common, according to PetMD. Other causes can include past traumatic experiences, such as abuse, aging, illness, pain, depravation of socialization, or environmental factors, as in storms or loud noises. Our fur babies reactions to such causes can be mild to very severe, ranging from trembling to hiding, trying to escape, or even destructive behavior and dangerous aggression. If you believe that your canine companion suffers from anxiety, there are steps that can be taken to help your furry friend. 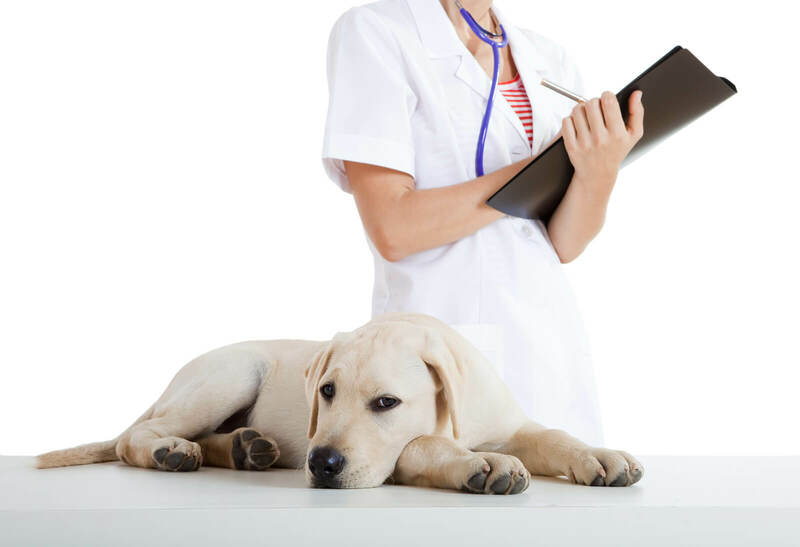 Talk to Your Veterinarian: Get a definitive diagnosis. There could be underlying health issues causing the behavior. Behavior Modification: Work on keeping your dog calm in stressful situations, such as thunderstorms. While a typical response would be to show reassurance in these instances, it’s not necessarily the right thing to do. Desensitizing, for example, is repeated exposure to stimuli that causes the fear or anxiety. This method is used with the goal of reducing the negative response in the pup over time. Medication: There are medications available to treat extreme cases of anxiety and fear in doggies, but such medications aren’t suitable for all pets. Again, talk to your veterinarian about options. Prevention: This is always the best measure, especially if you have a young pup. Environmental and social exposures at a very young age can greatly reduce fearful behavior and anxiety. Helping your dog cope is key when it comes to overcoming the negative behavior exhibited from anxiety and fear.Identifying the cause of such fears is the first step in working towards a happy, healthy canine companion. 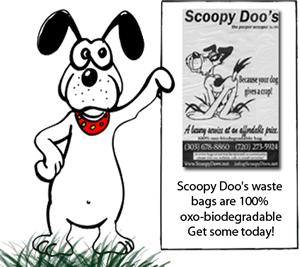 If too much doggy doo is the problem, the team at Scoopy Doo’s of Longmont is always happy to help! Call us today for all of your pet poop removal needs. After the last couple months of cold and the two big snow storms, I slacked big time on keeping my back yard cleaned up after my dogs. I called multiple places and they were the only company that came out and gave me a (FREE) quote. It was reasonable considering the amount of waste. After I heard the rest of the quotes that were about the same, I felt that since this company made the time to come to my house for a quote I would give them my business. I called and Deb was able to come out the same day, She was polite and professional, good with my dogs and the yard looks fantastic, I will be using them again and recommend them to all. © 2019 Scoopy Doo’s &dash; All Rights Reserved.